Should You Hire a Computer to Narrate Your Audiobook? 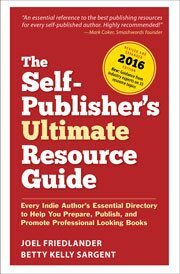 17 Ways for Writers to Publish Their Content. Content Channels for people to read, watch or listen to. What Makes Reading So Easy, You Can Do It Blindfolded? What Makes Reading So Easy, You Can Do It Blindfolded? Audiobooks have been around for a long time, and represent a new market self-publishers, and another way to repurpose their content.